Each year, CWL presents two awards to outstanding members of the Judiciary. 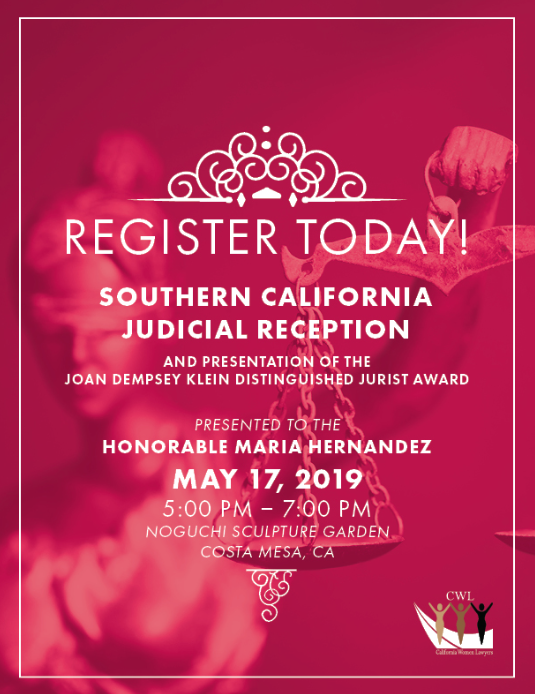 The Rose Bird Memorial Award and Joan Dempsey Klein Distinguished Jurist Award are presented respectively at CWL's Northern and Southern California Judicial receptions. They are named after, and presented to, members of the judiciary who are pioneers and luminaries for women in the legal profession. Recent past Joan Dempsey Klein Distinguished Jurist Award recipients include: Hon. Beverly Reid O' Connell ('18), Hon. Marguerite Downing ('17), Hon. Holly Fujie ('16), Hon. Yvonne Campos ('15), and Hon. Kathleen O'Leary ('14).